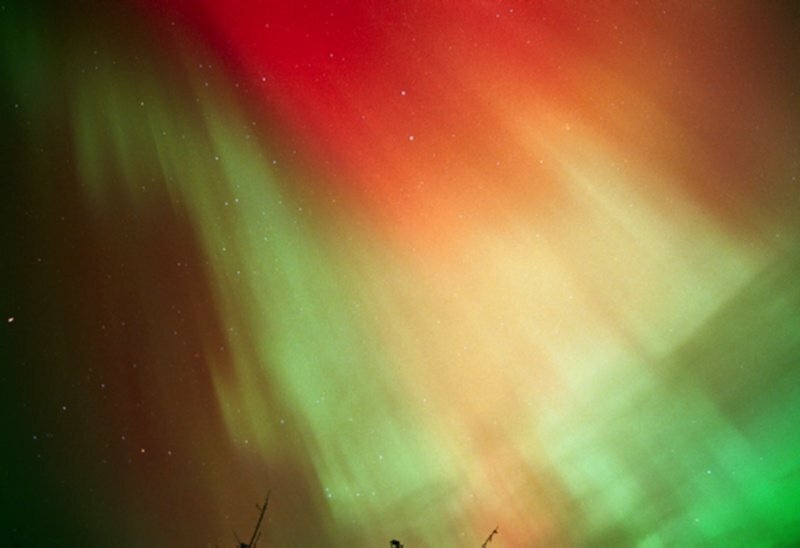 Summary: An interplanetary shock wave (generated by a coronal mass ejection from the giant sunspot 9393) passed NASA's ACE spacecraft at 0030 UT on March 31st (7:30 pm EST on March 30th) and struck Earth's magnetosphere about 30 minutes later. 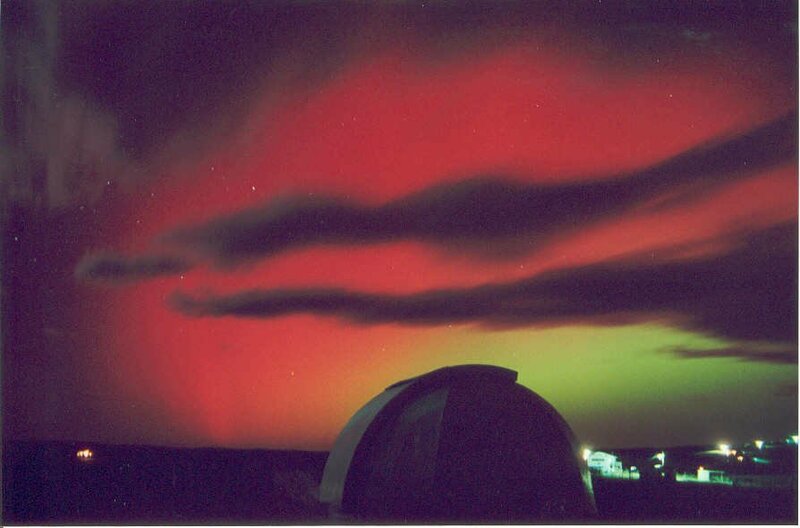 The leading edge of the shock front was dense (~150 protons/cc) and strongly magnetized -- traits that can (and did!) 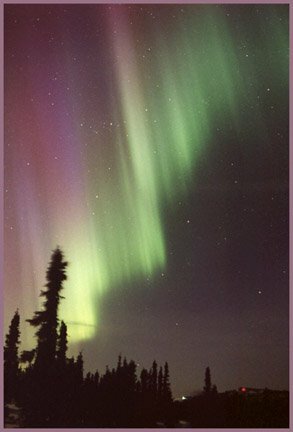 give rise to powerful geomagnetic disturbances. 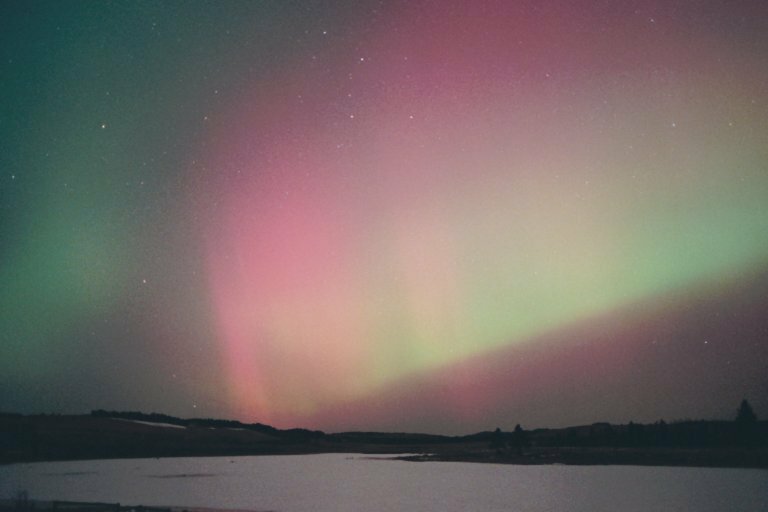 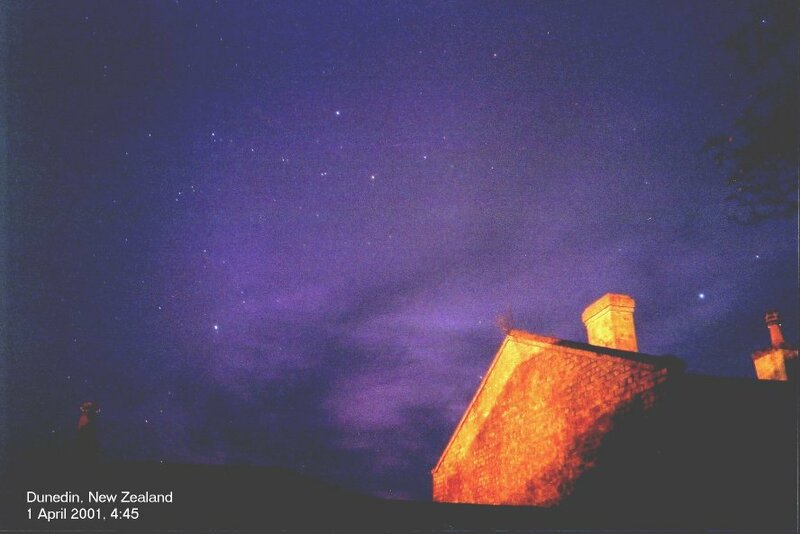 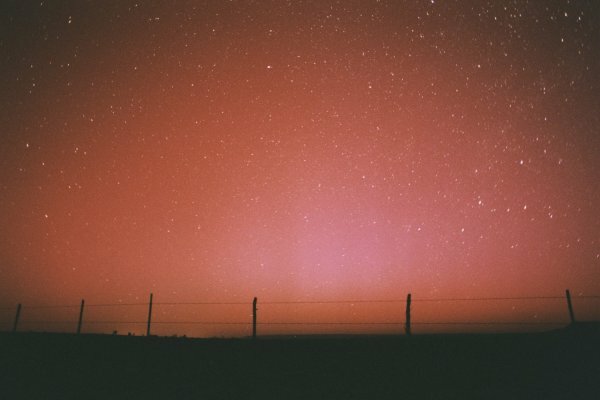 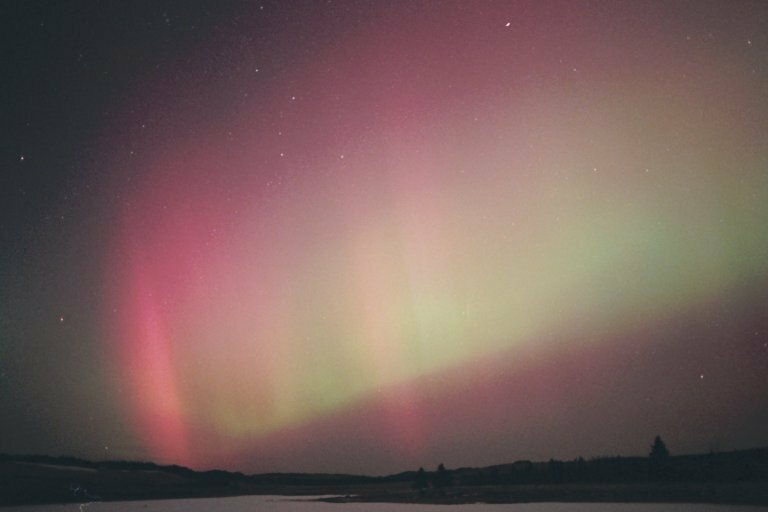 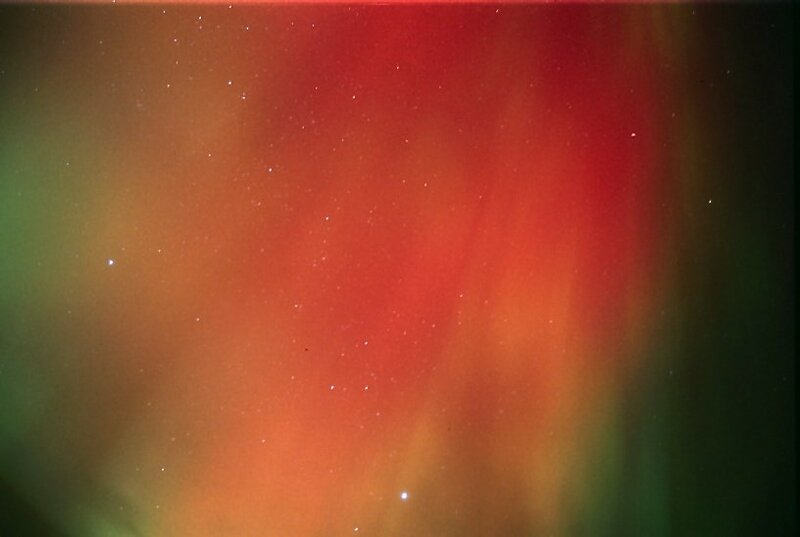 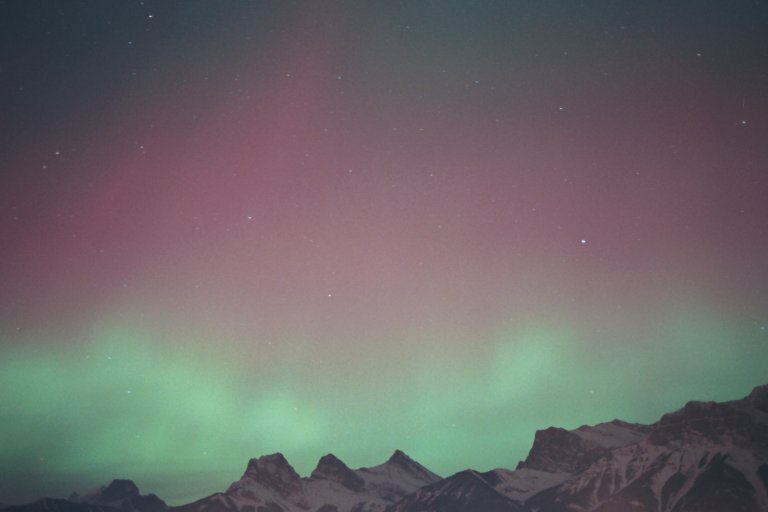 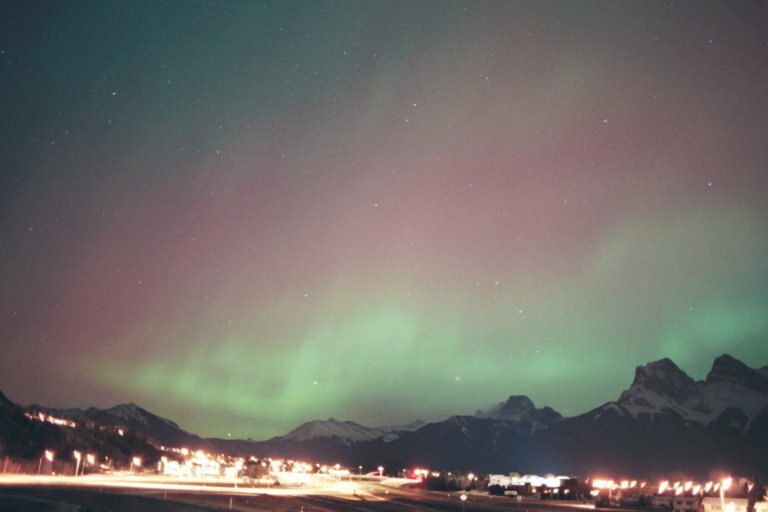 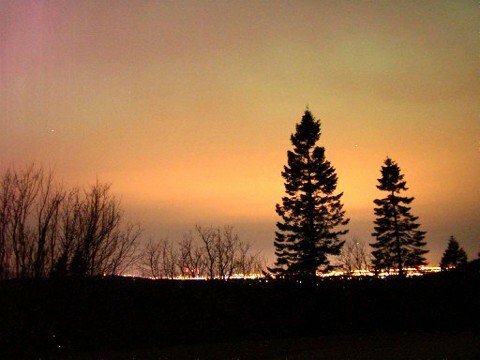 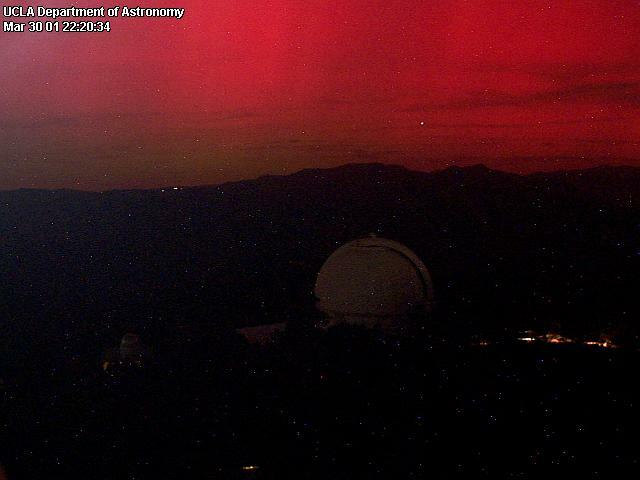 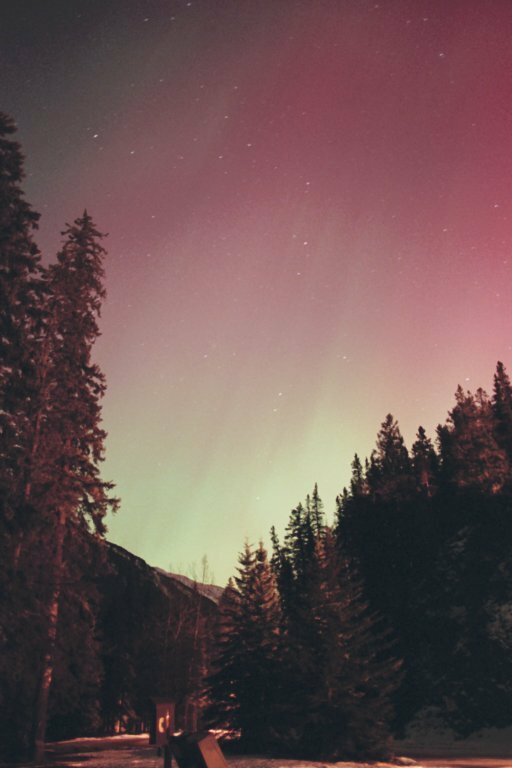 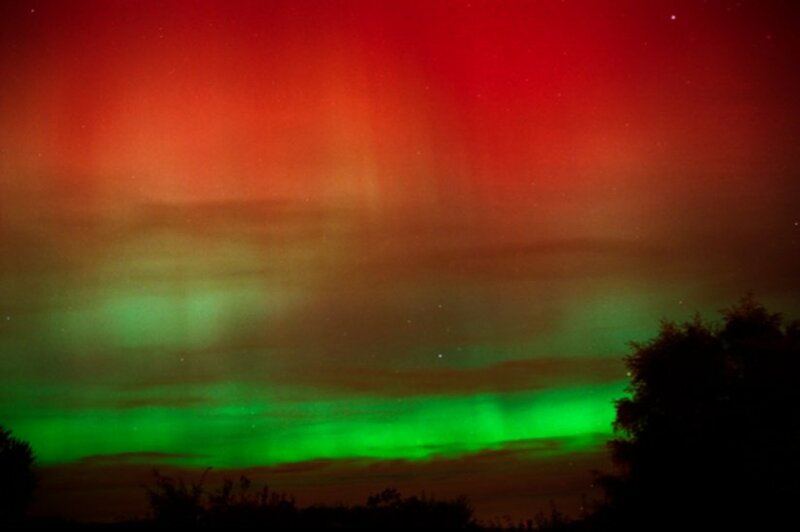 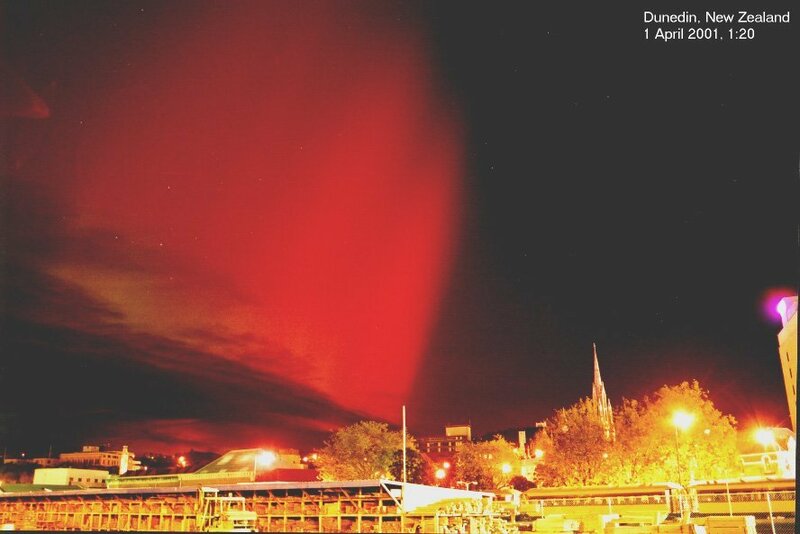 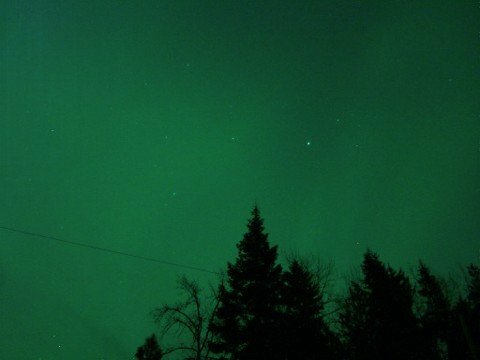 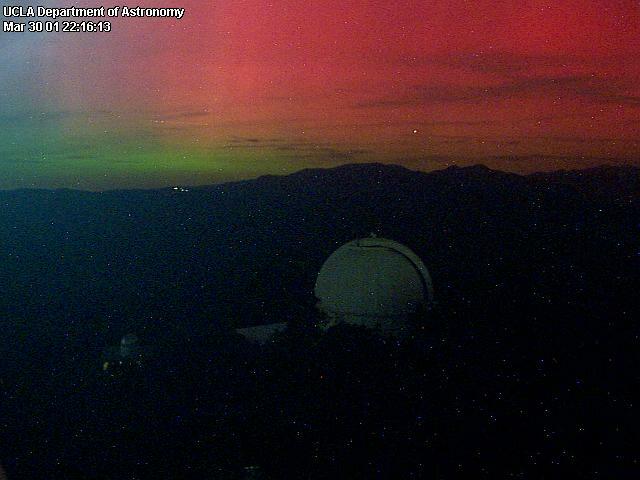 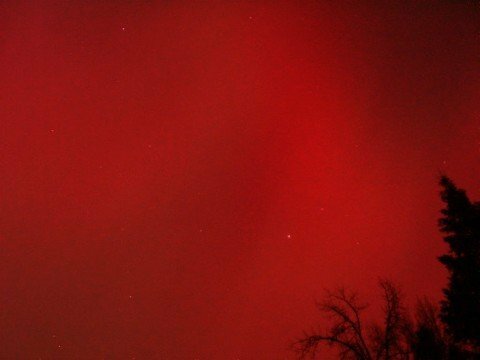 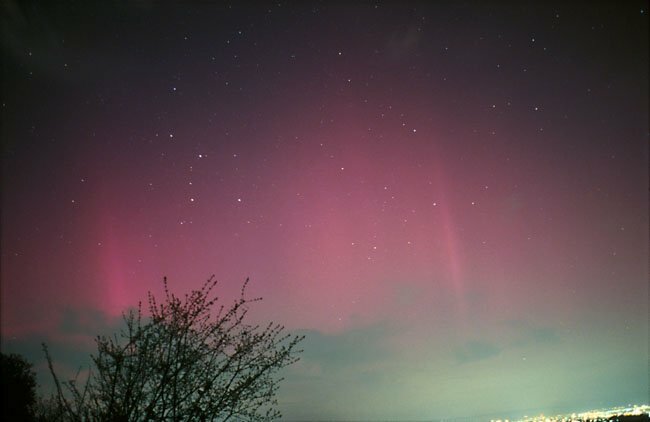 Sky watchers spotted Northern Lights as far south as Mexico. 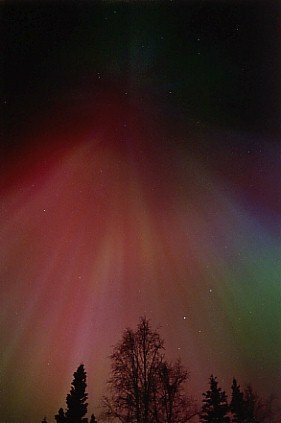 Jan Curtis, Fairbanks, Alaska #1, #2, #3, #4, more Veteran aurora photographer J. Curtis captured #1, #2 and #3 on March 30th (10:30 pm local time) and #4 on March 31st (11:50 pm). 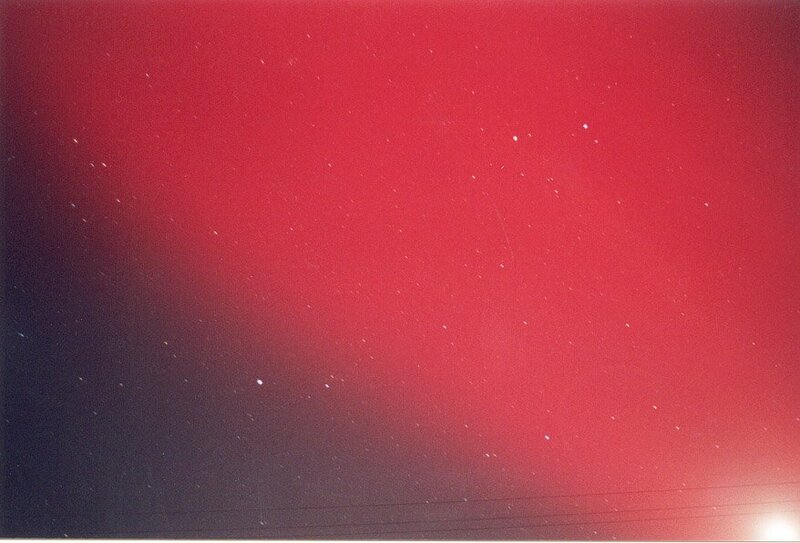 Photo details: Film Supra 800, 35 mm lens @ f/2.0, exposures (#1, 15 secs), #2, 5 secs, #3 20 secs, #4, 15 secs. 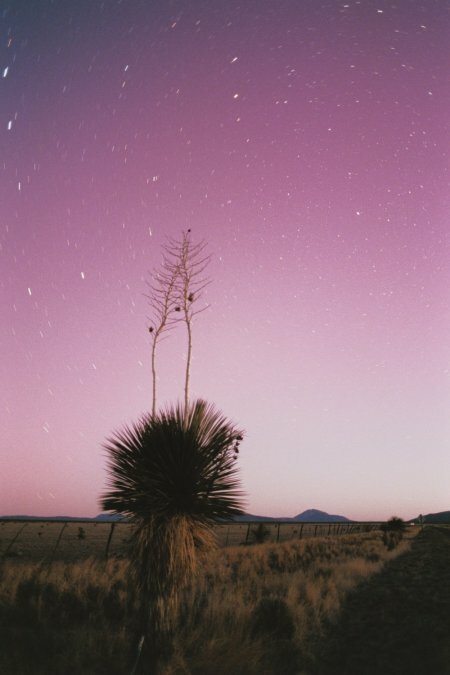 David Copley, Grand Junction, Colorado #1 Photo details: 28 mm lens at f2.8 on Fuji 800 print film, 20 second exposure. 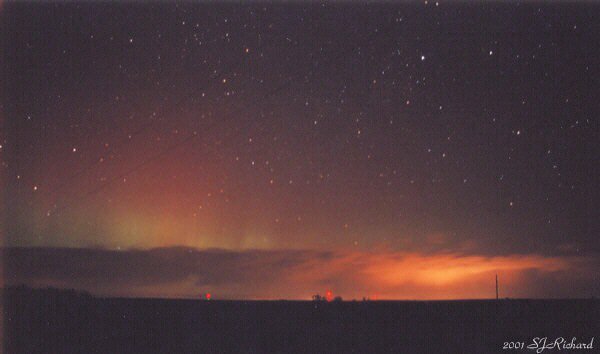 March 30, 2001 (11:15 pm MST). 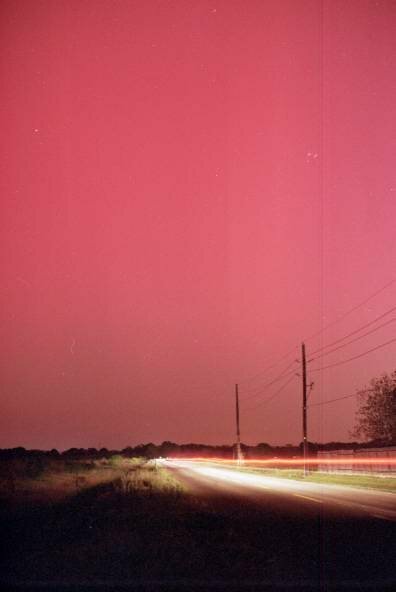 [image] Robert and Adam Smith, Stoneville, NC #1, #2, #3 Photo details: Camera Fuji ST605N. 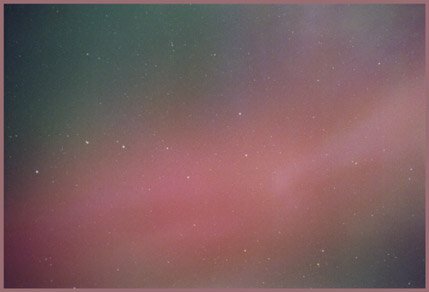 Yashinon 55mm lens 1.2 with Spiratone Curvatar wide-angle attachment. 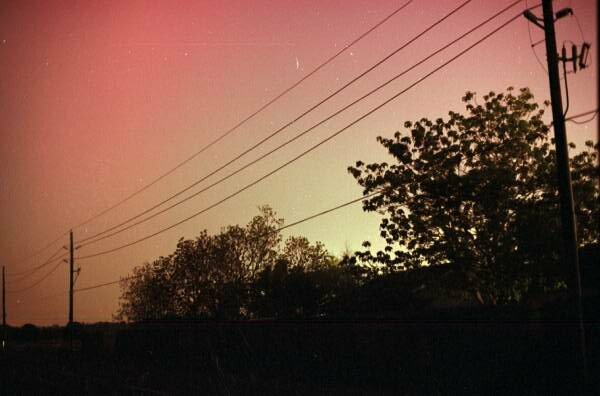 Fuji 200 Super HQ film. 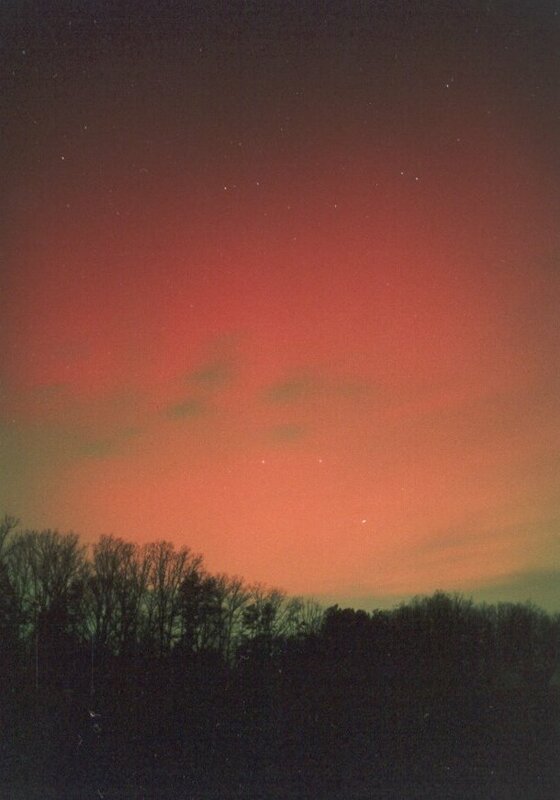 March 31, 2001 (11:30 pm EST). 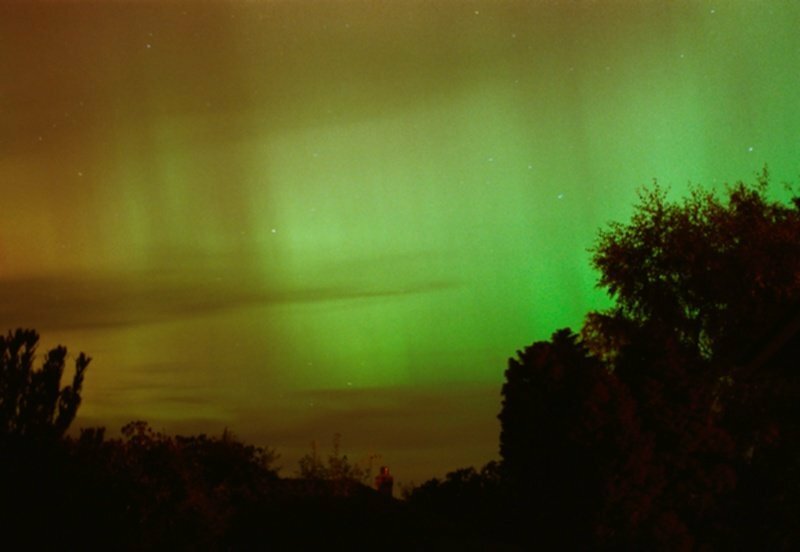 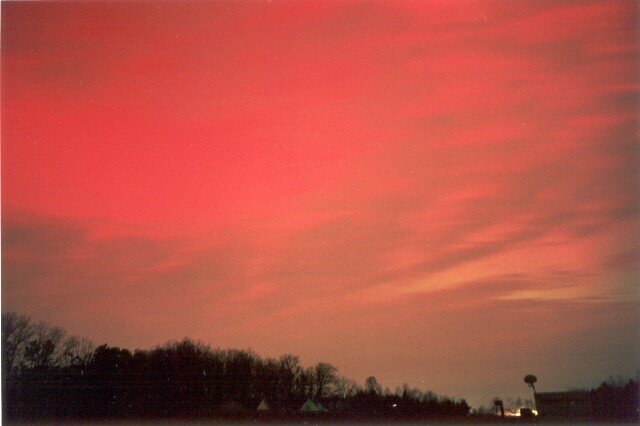 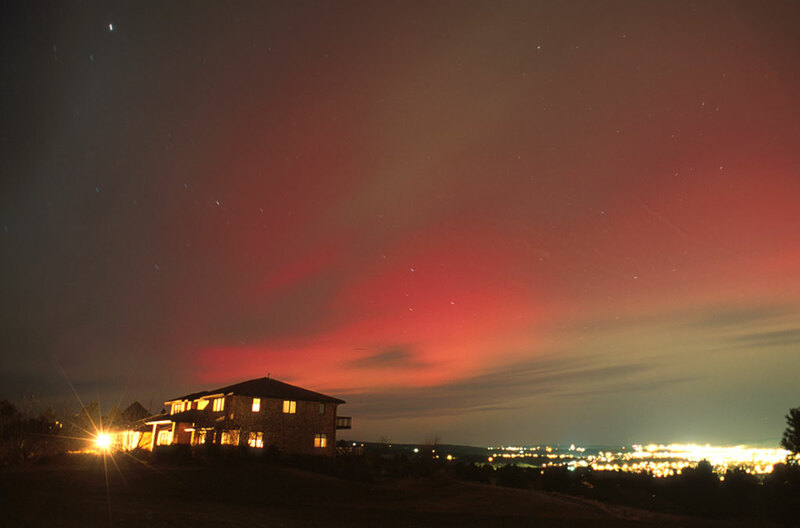 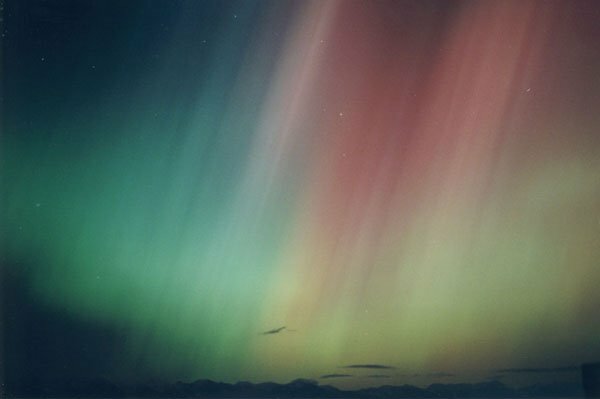 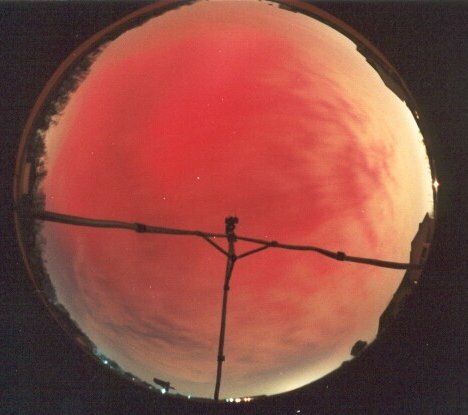 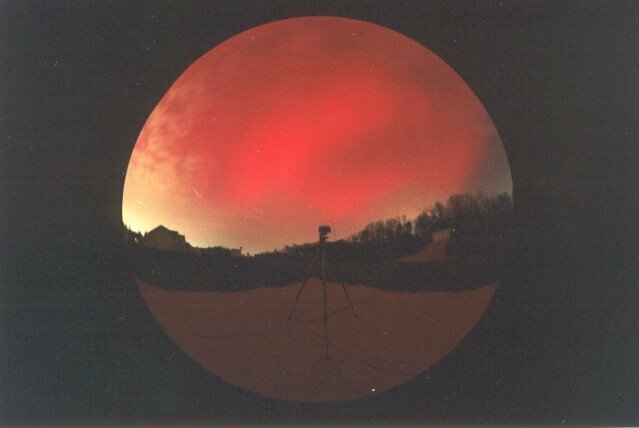 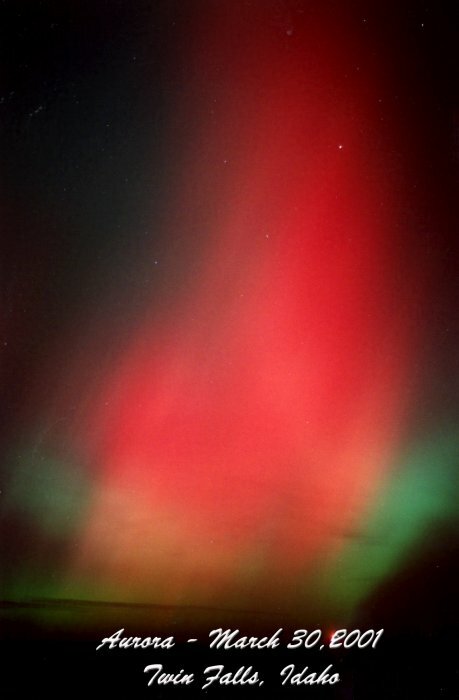 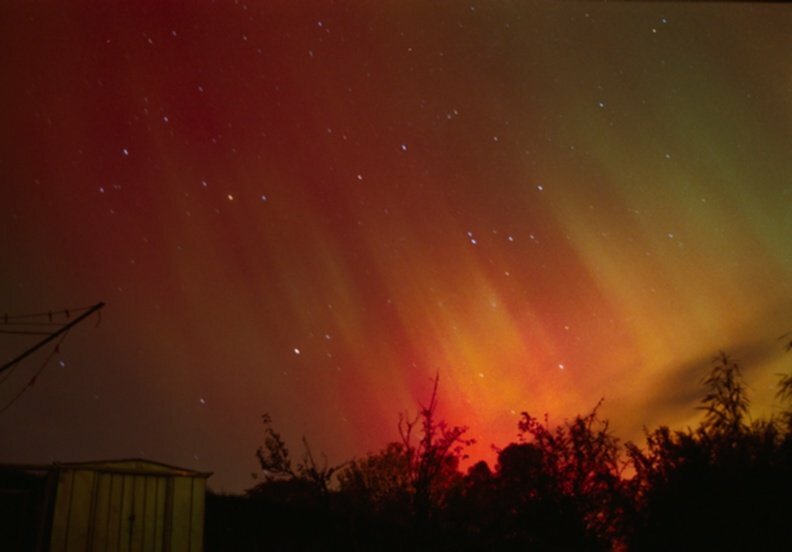 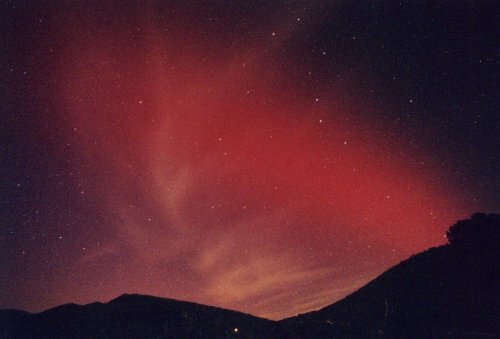 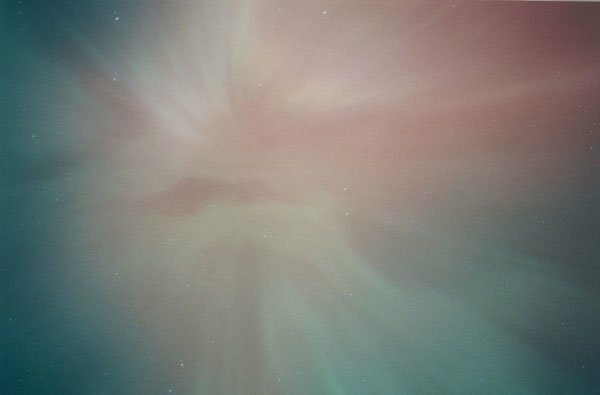 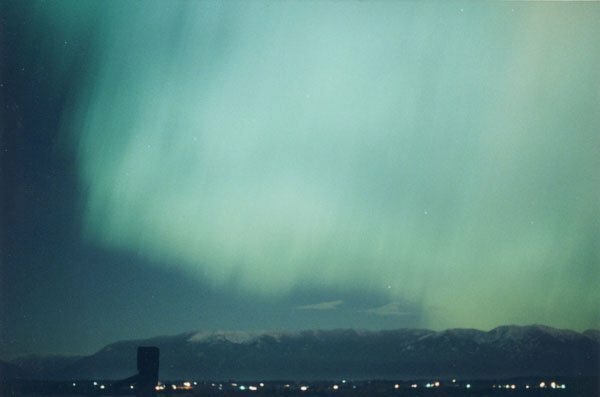 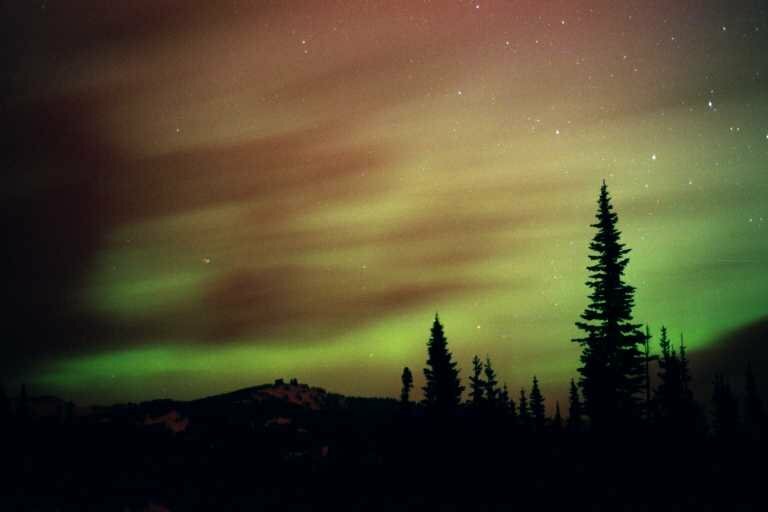 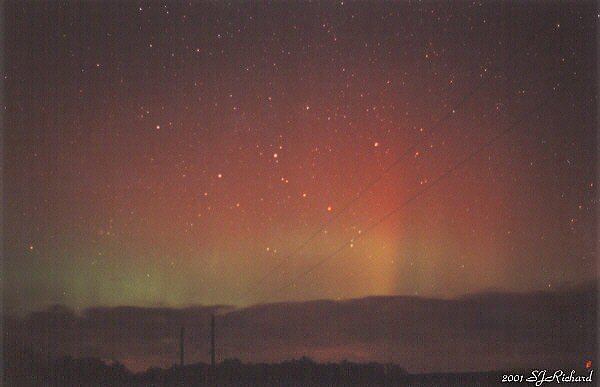 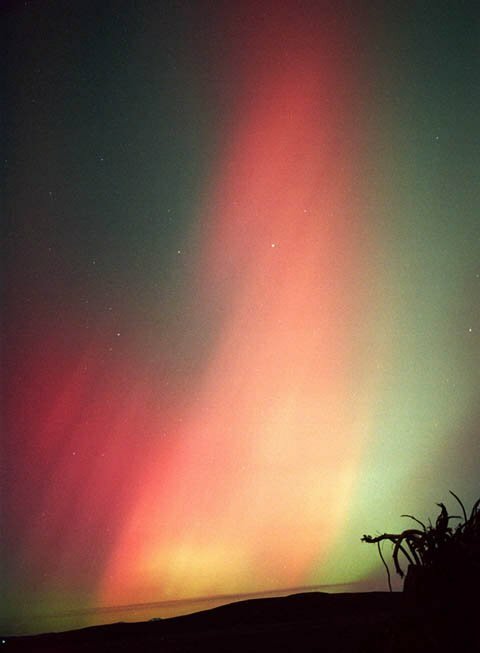 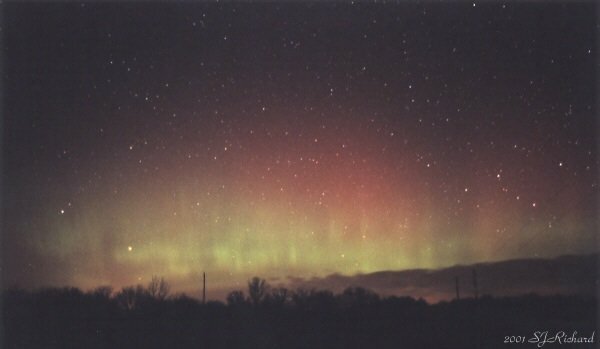 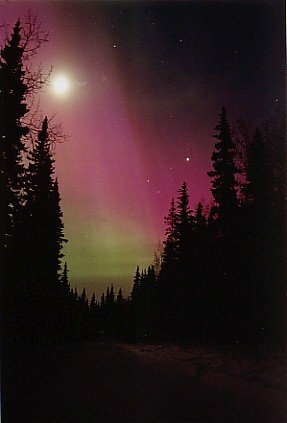 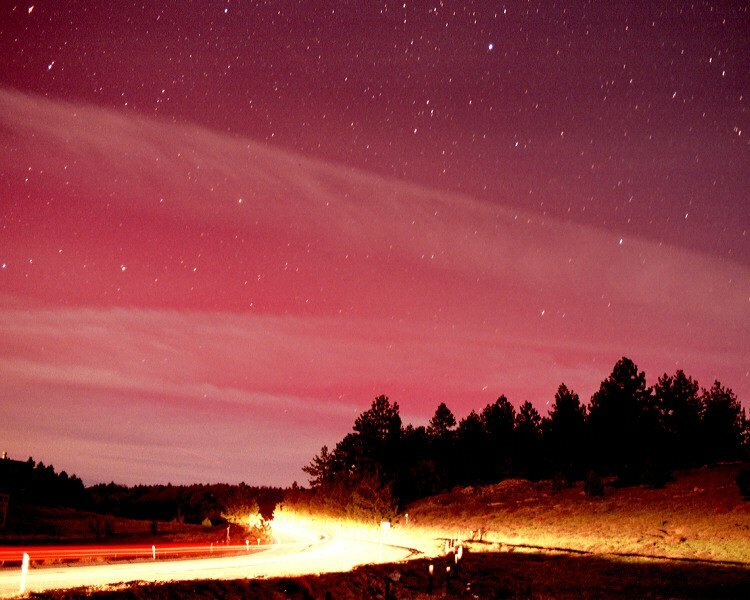 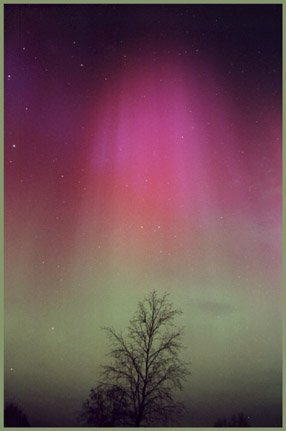 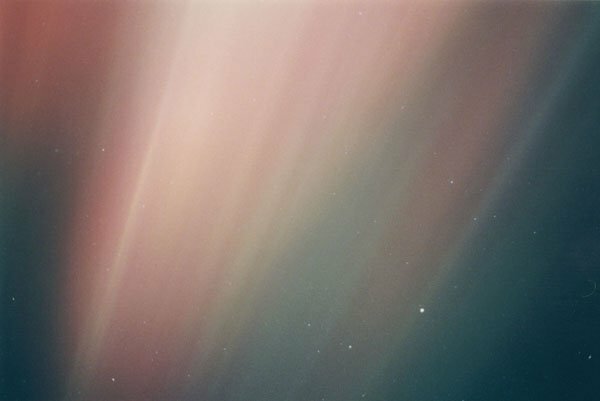 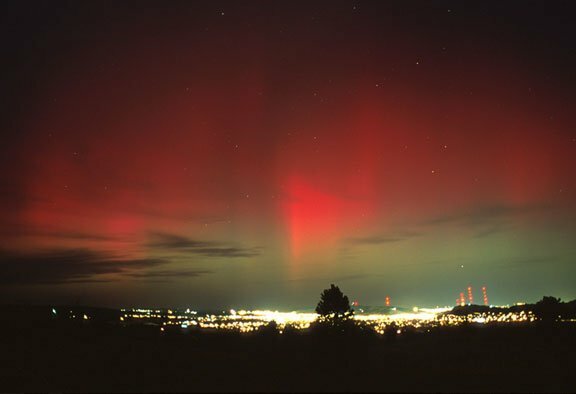 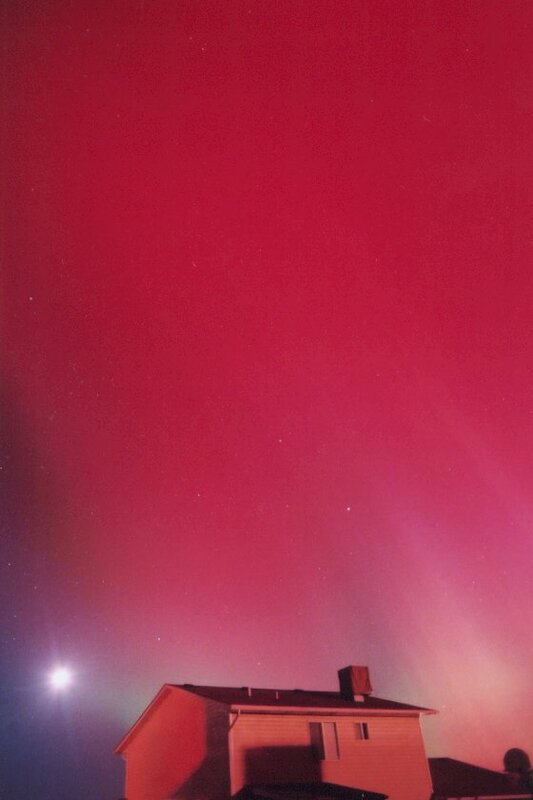 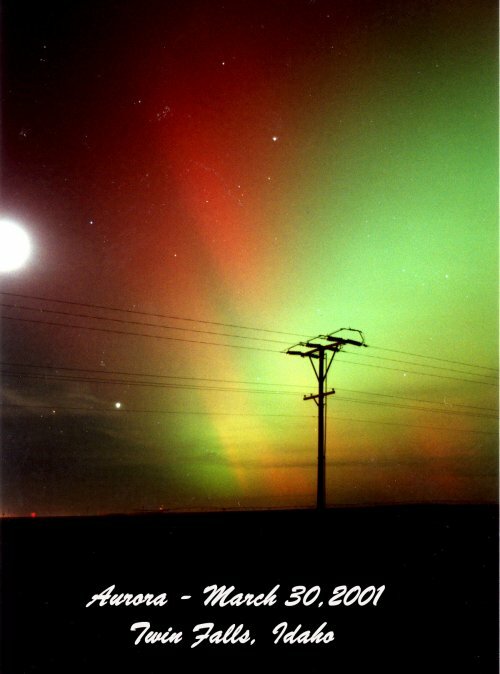 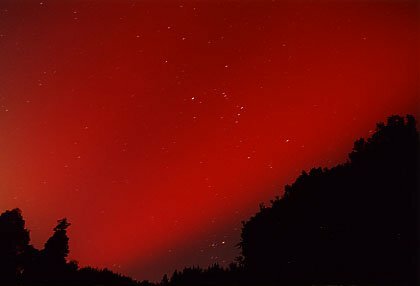 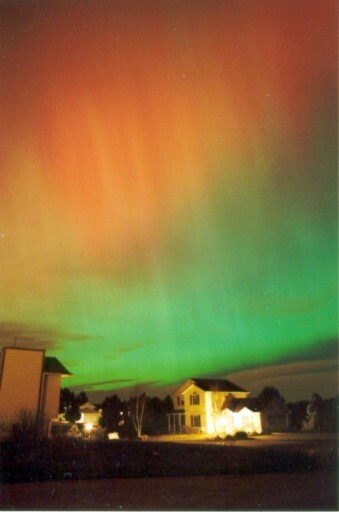 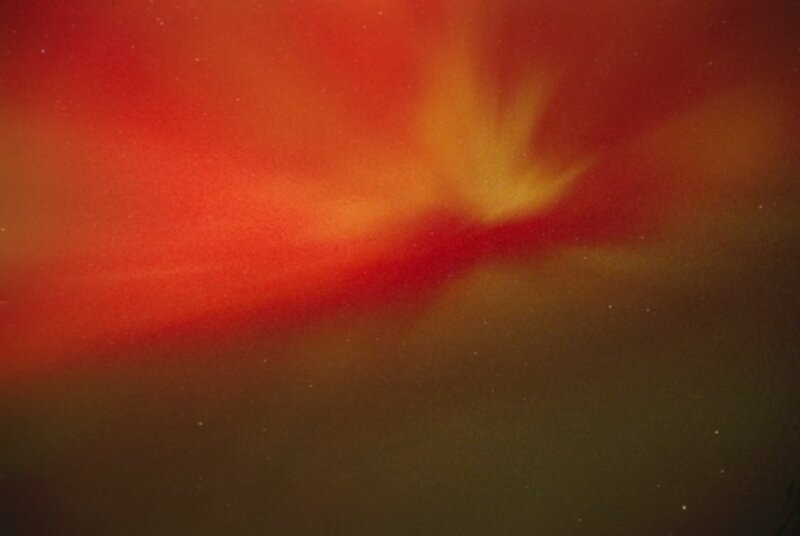 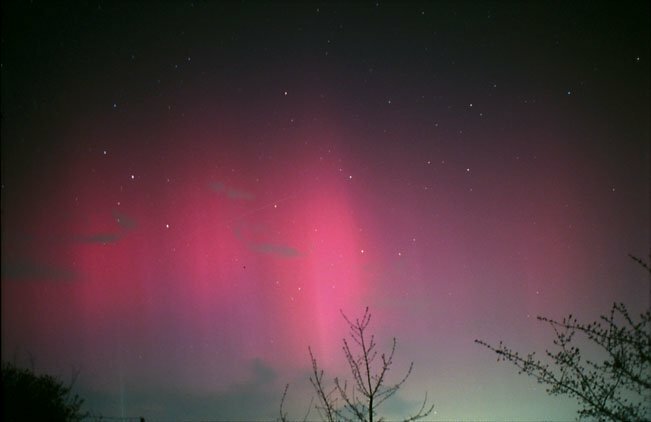 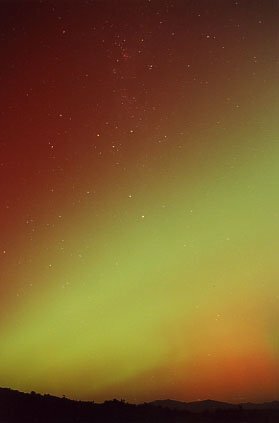 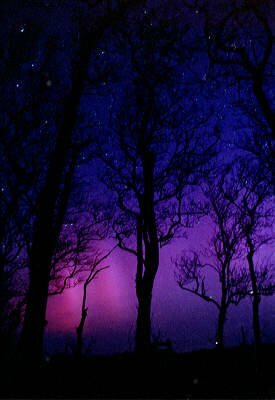 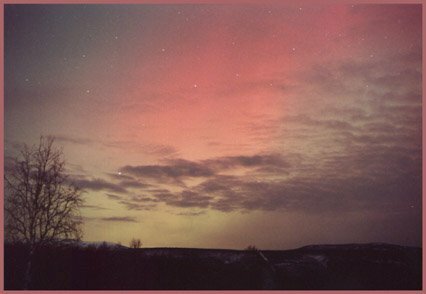 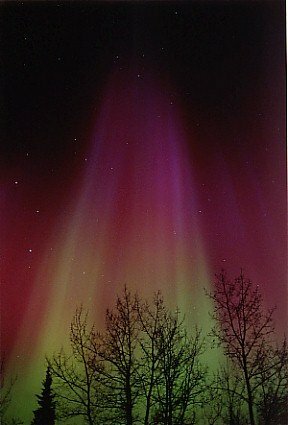 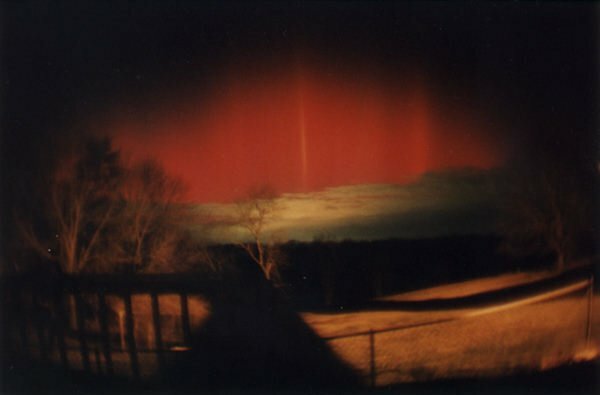 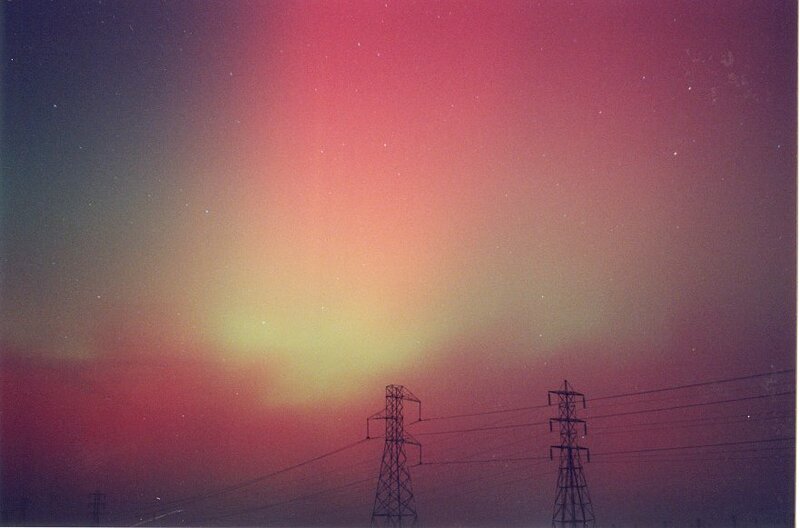 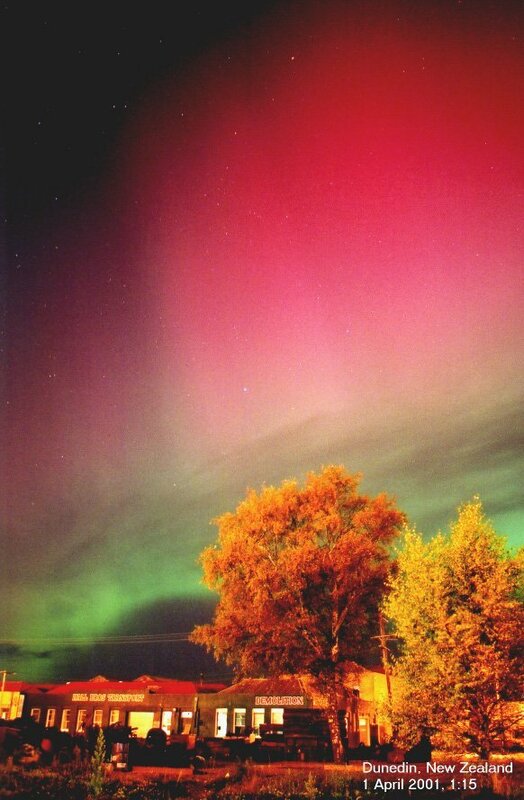 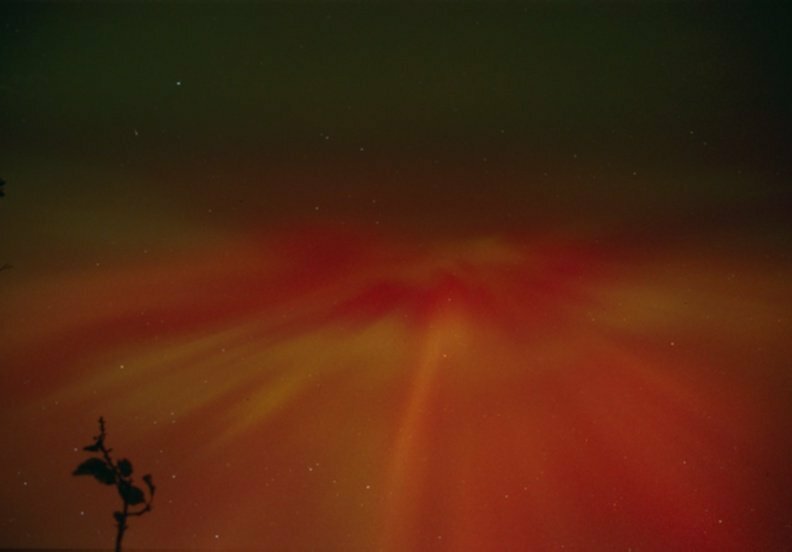 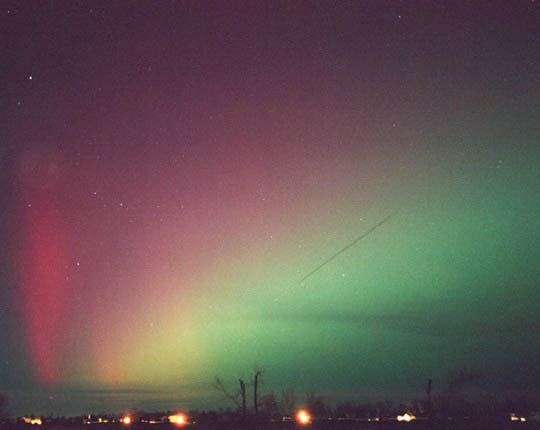 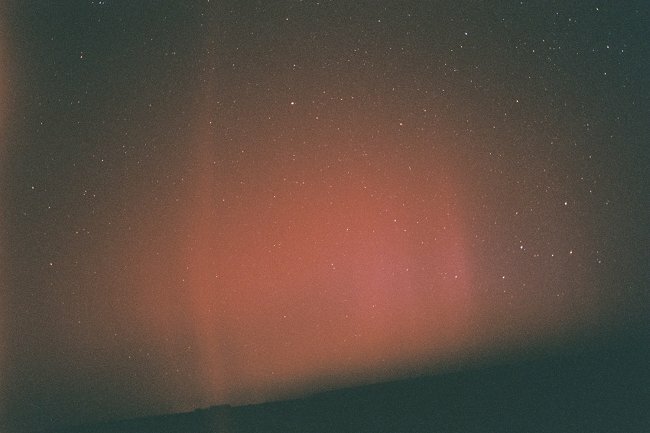 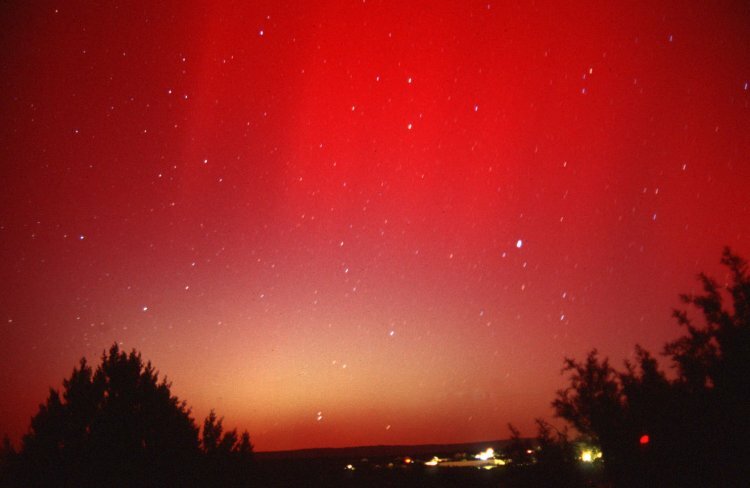 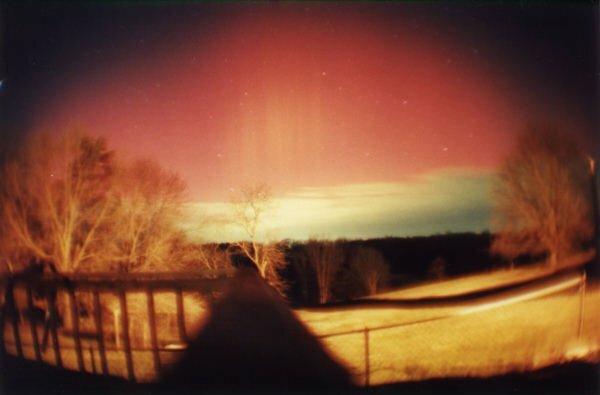 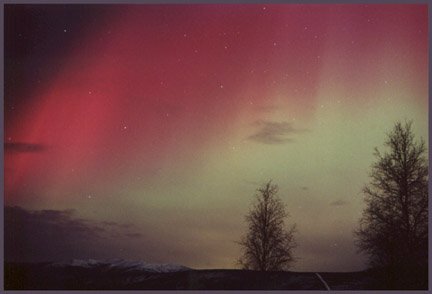 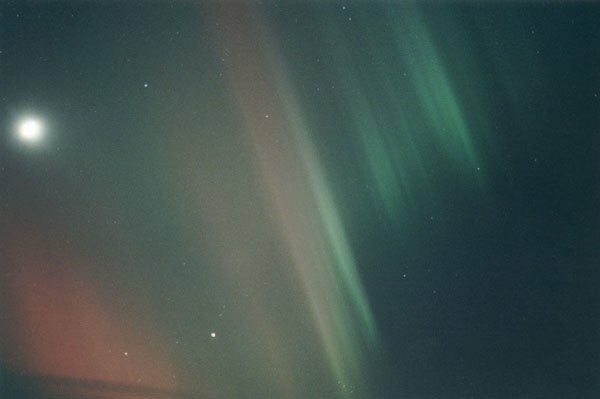 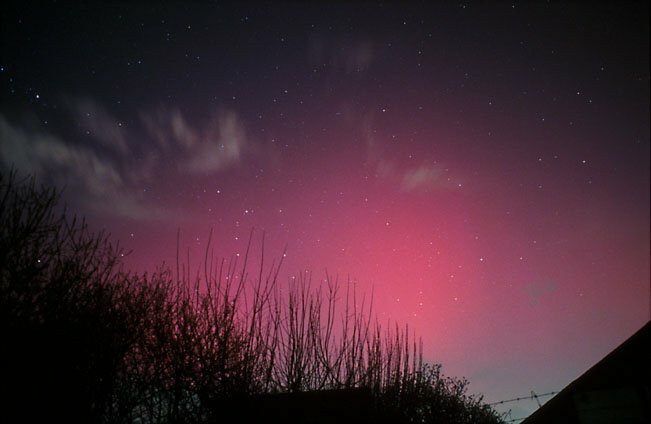 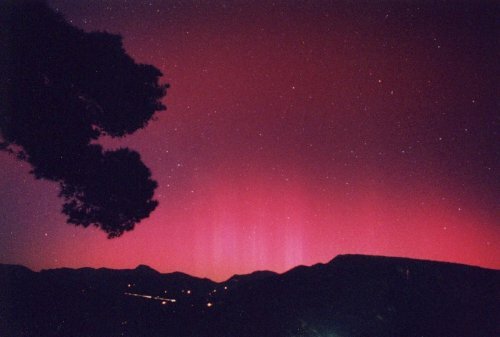 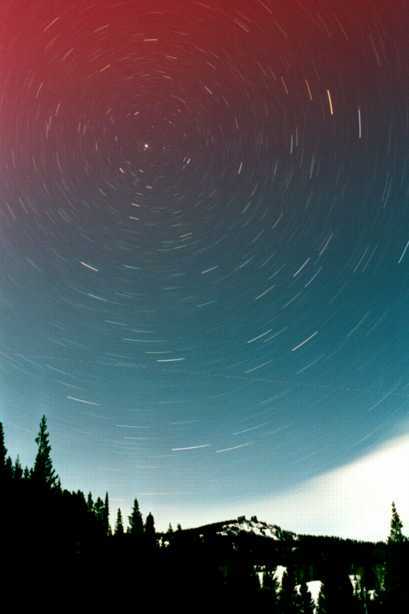 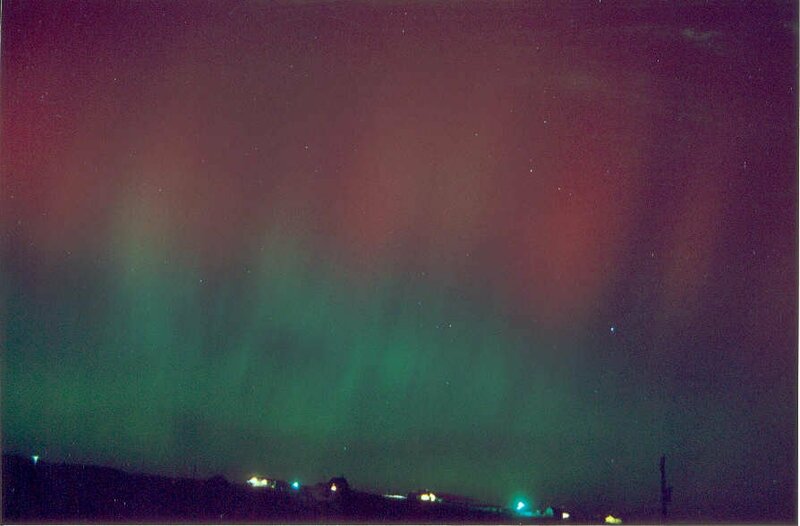 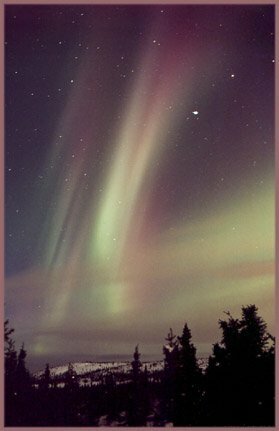 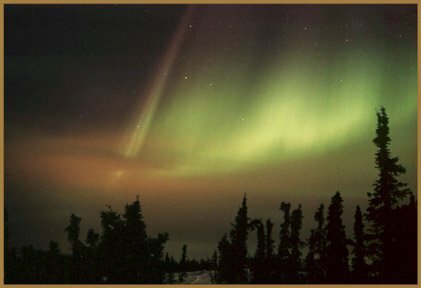 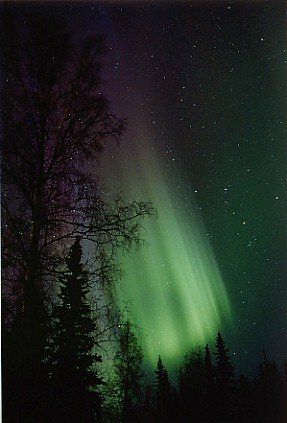 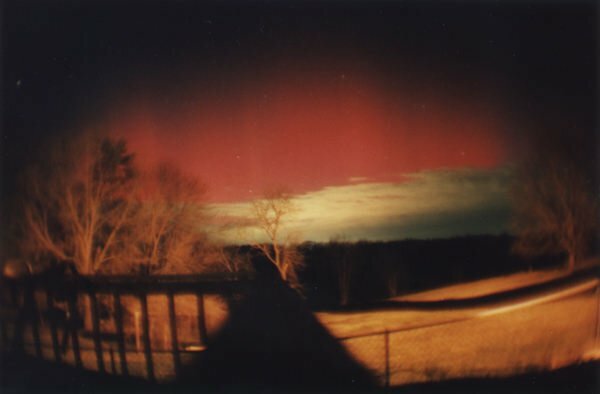 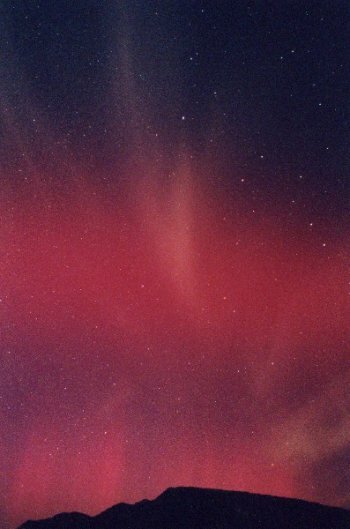 See also our aurora gallery covering the period March 19 - 24, 2001. 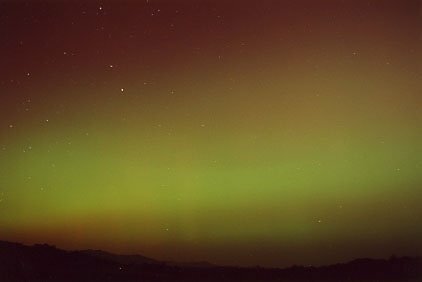 SpaceWeather.com is sponsored in part by Ask Dr. Tech.